This Adriatic Seaport in Le Marche is often overlooked by tourists. But Ancona and the surrounding area can be worth a visit for its history, natural beauty, and delicious cuisine. I have always wanted to visit Ancona—perhaps an odd desire, given the city is not a particularly popular one with visitors to Italy. But for me, the connection to Ancona is a very personal one: I was actually born and spent the first few months of my life there, before being brought to America with my mother. I grew up hearing many stories of what life was like in the city and how much my mother had loved the nearby beaches, particularly Portonovo. But I'd never had the chance to see it for myself...not until 2016, when I spent several days there at the end of a longer trip to Venice and Bologna. If you are looking to visit an off-the-beaten-path destination in Italy, love the water and delicious seafood, consider spending several days as I did in Ancona and the surrounding area. You can tour through beautiful beach resort areas, stunning ancient hill towns, and even visit important religious pilgrim sites such as the Basilica della Santa Casa in Loreto. What follows is my brief guide to the city, including recommendations on what to see, where to stay, and of course, what to eat! All photos on this page were taken by the author, sockii, unless provided by Amazon. Ancona is a seaport and city in the Marches region in central Italy, located on the Adriatic Coast. It is one of the main ports on the Adriatic Sea, especially for passenger traffic, as many ferry boats travel between it and Croatia, Albania, Greece and Turkey. The city was founded by Greek settlers from Syracuse around 387 BC, and given its name from the Greek word Αγκων, meaning "elbow", because of the shape of the harbor. It later became a Roman town, although the exact date of Roman possession is uncertain. The city survived attacks by the Goths, Lombards and Saracens—in fact in 840, Saracen raiders sacked and burned the city. After the year 1000, the city became an important Maritime republic, increasingly independent and strong enough to even push back on attacks by the Holy Roman Empire in the 12th Century. The city also has an important Jewish heritage, as along with Rome and Avignon it was the only Papal city where Jews were allowed to stay after the year 1569. Along with Venice, Ancona was an important destination for merchants from the Ottoman Empire in the 16th century. There came to be a strong Greek community in the city as a result, although along with it came frequent conflicts between Orthodox and Catholic Greeks. This persisted until the French occupied the city in 1797. Ancona entered the Kingdom of Italy on September 29, 1860 and was to become one of the most important ports on the Adriatic during World War I. In World War II, the city suffered severe bombing damage by the Allies, although fortunately some historic site remain and are preserved for today's modern visitors. Ancona is easy to reach by rail from other major Italian cities—2 hours to Bologna, 3 1/2 hours to Rome, and a little under 4 hours to Venice. Marche Airport offers regional flights throughout Europe on carriers including easyJet and Ryanair and is just about a half-hour taxi to Ancona. If you plan on traveling around the area to nearby hill towns and beach areas, you may wish to rent a car at the airport. Otherwise you may use local taxis or bus services. While there are not as many famous museums and attractions in Ancona as in other major Italian cities, there are still noteworthy things you should make sure to see while visiting. Cattedrale San Ciriaco (Ancona Cathedral) - This Roman Catholic church is located on the site of the former acropolis of the Greek city. On top of Guasco hill, visiting the church grounds offer impressive views of Ancona and its gulf. The famous red marble lions outside greet all who come to visit, and the church's dome is one of the oldest in all of Italy. Chiesa Santa Maria della Piazza - This Romanesque Church is noteworthy for its unusual, dramatic exterior and early mosaics within. If you are lucky to be there when open, take advantage of the guides who will help you understand the church's history and importance. Monumento ai Caduti - This World War I monument at the Piazza Quattro Novembre 1 offers more dramatic views, overlooking the beach. A nice place to visit any time of the day when the weather is pleasant, there are steps to walk down to the beach if you choose—or just soak up the atmosphere. The balcony at the Monumento ai Caduti, overlooking the city beach. Museo Archeologico Nazionale delle Marche - History lovers should check out this archeology museum, located in a former private villa overlooking the sea. Collection includes prehistoric, Roman and more modern artifacts of note. The Arch of Trajan - This Roman triumphal arch was built during the reign of Emperor Trajan. It was built to honor him after he spent out of his own pocket to expand the city's docks and fortifications. Today it makes for an unusual, ancient vision amidst the modern activity of the busy dock, but makes for a nice walk to visit on a sunny day. Pinacoteca Comunale “F. Podesti” - This art museum contains notable works by artists including Titian, Carlo Crivelli, Lorenzo Lotto, il Guercino, and Francesco Podesti to name a few. 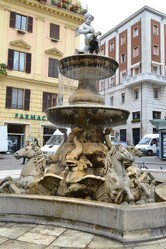 Fontana del Calamo - This 16th century, well preserved fountain is an intriguing sight to come upon while exploring the city. The thirteen masked faces on the water spouts allegedly represent thirteen people who were beheaded! The Chiesa San Domenico and Piazza del Plebiscito - This church sits at the end of one of the main squares in Ancona (known locally as the "Pope Square" because of the statue outside). Try to catch it when it's open to the public; the inside is simple yet elegant, and it does feature a lovely Titian and other artworks. Afterwards the square makes for an excellent place to enjoy traditional Ancona fare for lunch. Ancona TripAdvisor - Hub of information and visitor reviews of tourist attractions, restaurants, hotels and shops in the city. Lovely Ancona - A detailed guide to Ancona and the entire region for visitors, well illustrated with photos and historic information. 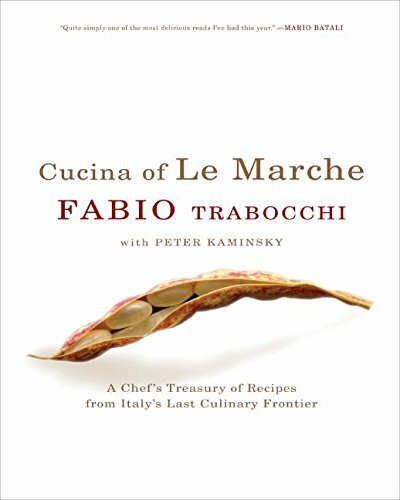 Le Marche cuisine is truly a hidden gem of all of Italy's culinary delights. Of course the seafood of the Adriatic plays a major role in the region's cuisine, but you will also find rich poultry and game dishes in the inland regions, decadent cheeses, and delightful light and tasty wines. The classic “brodetto all’anconetana” or simply "brodetto" is the signature dish of Ancona. Tradition states that the dish should be made of 13 different fishes and shellfish, all caught locally and of the highest freshness. In a light broth of tomatoes, vinegar and herbs, this is something to savor with crusty bread—and friends to share it with! Stoccafisso all’anconetana is a dish that has been enjoyed for over 500 years in Ancona—and is so beloved in the city that there is actually an academy dedicated to it, the Academy of Stockfish. The fish is cooked and served with olives, potatoes, tomatoes, herbs and a white wine of the region. The wild mussels found along the shores of Portonovo are famous and known locally as "Mosciolo" (don't call them "cozze"!) They are extremely sweet and meaty, and found on the menu of any restaurant along the beachside area and resorts. It's a dish you definitely need to sample when you are visiting the area. Certainly they were the most delicious mussels I've ever tasted in my lifetime. This wonderful cookbook explores the rich cuisine of the region. It is worth studying before you travel to know what dishes to look out for, or something you may want to purchase after your trip to learn how to prepare these classic dishes at home. From rice to pasta to seafood and antipasti, it covers all the traditional food of Ancona and Le Marche in excellent, easy-to-read detail. If you are looking to stick to a budget, you will find quite a few hotels directly in Ancona with rooms around $100/night, or less. However, if you have a little more money to spend and would like to stay somewhere truly unique, I have to recommend the Hotel Fortino Napoleonico above all other options. It is located right on the beach in Portonovo, about a 20 minute drive from the Ancona train station, and makes for a great starting point to either relax and enjoy the beautiful waters or to explore the entire region. A view from the deck at the hotel, where special events are held. The hotel is actually located in a 19th century real fort, within the Parco del Conero—meaning it is surrounded by natural, preserved beauty. The best rooms are the specious suites, each with their own style and design. The hotel has a pool, a private beach area, and a simply wonderful restaurant (the food was so good, we ate three dinners here and simply had to try everything we could!) While it can be pricey in season, you can often find good deals there if you are staying outside of the prime summer months. From the hotel, you are only another 20 minute drive to the medieval village of Sirolo, 30 minutes to Loreto, and only 15 minutes to Camerano where you can visit ancient underground caves. An elegant seafood entree at the restaurant at Hotel Fortino Napoleonico. The beach at Portonovo, looking toward the Hotel Fortino Napoleonico at the far point. The beach at Portonovo is quite rocky but the water is pristine clear as a result. Locals say the clean water contributes to the exceptional, unique flavor of the seafood from the region, particularly the mosciolo. You will find a number of restaurants and bars along this stretch where you can enjoy a drink or rent a chair and umbrella for the day during season. The rocks at Portonovo Beach and surrounding natural beauty. The view from Sirolo of the Adriatic Sea. Driving through the area we spotted this quaint hill town and had to stop for a short while to soak in the atmosphere. Sirolo has a well restored medieval town center, full of shops and cafes where you can enjoy a drink...or a decadent ice cream treat! The town square looks out over the water and it is a 10 minute walk down to the beach. Sirolo is a charming medieval hill town south of Ancona and Portonovo. Take the pilgrimage to visit "Mary's House"
This hill town outside of Ancona is most notable for the Basilica della Santa Casa—a major shrine of Marian pilgrimage. The late Gothic church features mosaics by Domenichino and Guido Reni, along with colorful frescoes. But of most note inside the church is the marble enshrined Santa Casa or "Holy House", which by legend is the actual house from Nazareth where Mary was born and raised, received the Annunciation, and lived during the childhood of Christ and after his Ascension. The house was supposedly carried by angels, first to Croatia and then across the Adriatic Sea to the woods near Recanati to protect it from invading Turks. As a visitor you must line up in a queue to enter, say your prayers, and then continue on through the church. Whether you believe the legend or not, it is hard to deny the powerful spiritual energy that falls upon you when you enter and imagine the possibilities. The house is attributed to many miracles, along with "Our Lady of Loreto", the "Black Madonna" carved of wood and blackened with centuries of lamp smoke located within. Do you believe in miracles? 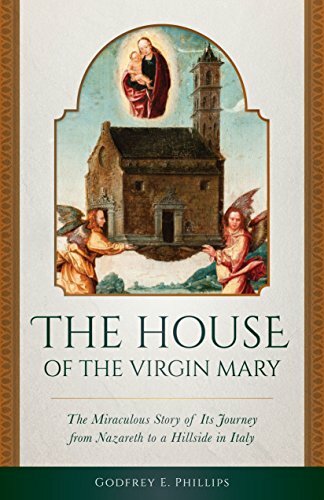 Want to learn more about the story of the Holy House in Nazareth and how it came to be transported all the way to Loreto, Italy? There are not many guidebooks focused on this region, due to its lesser popularity as a tourist destination (save for Italians themselves who flock to its beaches every summer). However there are a few books which can help with your travel plans should you choose to explore this area. If you are thinking of only spending a few days in the region as part of a more expansive trip to Italy, then you might want to read through an all-encompassing travel guide to the country. This will help you plan routes and itineraries, and perhaps discover out-of-the-way places to visit you might not have considered otherwise. Visiting Italy is a dream of many...but is it too expensive to turn into a reality? Not necessary. Read on for my tips to enjoying an Italian vacation on a budget. The churches of Italy are some of the most beautiful artistic and architectural treasures in the country. But be mindful of proper etiquette and decorum! Do You Need to Speak Italian to Visit Italy? Is speaking English in Italy acceptable? Or do you need to be proficient in Italian before planning a vacation to the country? Perhaps the lesser known areas are best because they do not alter themselves to appeal to tourists, they are preserved as they were. When an area becomes too tourist filled some of the charm is changed to appeal to visitors, but that is not what a tourist is after. They want reality of the culture. The word "March" denotes a border region. Why is this word used for Ancona and its territory? But yes, the entire region of the Marches is quite beautiful and tranquil, and I would love to have the chance to spend more time there exploring. I wonder why this beautiful place is less well known. Family; I now see why Italy is so special to you. My husband's grandma's family were from the North of Italy at Garzeno near Lake Como . It is a beautiful country and a huge favourite in our family. It helps to read about a country from someone who was actually born there. Thank you, Frank! I have plans to post some more guides and overviews of some of the other lesser-known places and attractions in Italy (and Sicily) I've had the good fortune to visit. They definitely can help expand understanding of the country beyond the major tourist attractions. Well written. This was a clear and informative guide to a part of Italy that was a closed door to me. Articles about places that are outside one's personal experience have the ability to expand the mind. Why visit Bologna? Because the city is rich in academic, artistic and culinary history. Spend a few days in Bologna to get a taste of Italy you can't find elsewhere. Venice, Italy is one of the most recognizable and unique places in the entire world. Let me share some of my tips for how to enjoy your visit.